1. What is the schedule for Garbage Pickup and Recycling? For all of your questions on garbage and recycling, please visit our Refuse and Recycling page. 2. Who is the Wage Tax Collector? Penn West Building, 907 West St.
4. Where is the Post Office? 5. Where can I vote in the Borough? 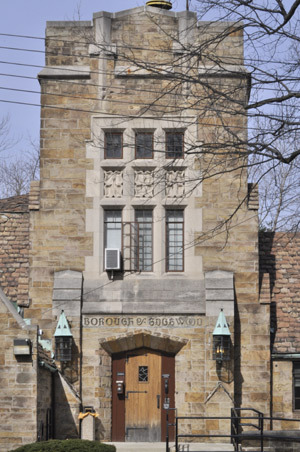 Borough Building or Edgewood Primary School, 241 Maple Ave., depending on what your registration card says. 7. What school district is Edgewood in? For Answers to these and all your Tax Questions, please visit our Tax Information page. At tax time, what is the Woodland Hills School District Code B? What is the Borough property millage? What is the Borough School millage? 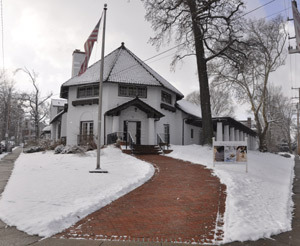 Who is the Real Estate Tax Collector for Edgewood Borough? 9. Can I get forms to register my dog at the Borough? Yes, in the Borough lobby. 10. Who is the water company for the Borough? Wilkinsburg-Penn Joint Water Authority (412) 243-6200. For more information, please visit our Water & Sewage page. 12. When does Council meet? First & third Monday of each month, unless Monday is a holiday. In that case, the meeting will be held on Tuesday. For more information, please visit our Meetings and Agendas page. 13. How much is a parking permit? Call (412) 242-4824 for the latest parking permit rates and with questions or for further explanation. You may also visit our Parking Permit page. 14. What are the Borough hours? 15. Where is the Borough Building? 16. Who is the Borough’s electric supplier? 17. Who is the Borough’s cable supplier? 18. How can I advertise in the Newsletter? 19. What is the number for the Police and Volunteer Fire Dept.? Police Emergencies and non-Emergencies: 911. To learn more about Edgewood Police, please visit www.EdgewoodPolice.com. To learn more about Edgewood's Volunteer Fire Department, please visit www.edgewoodfire.com. 21. Can I get a map of the streets in Edgewood and is there a charge? 22. Does the Borough provide notary services? 23. Does the Borough sell firewood? 24. Does the Borough sell mulch? Yes; please call (412) 242-2410 for rates and information. 25. Where is the School for the Deaf? 26. When is Edgewood's Community Day? It is the last Saturday in August. 27. What is the distance around Koenig Field? 29. What is Edgewood's Leaf Pickup Schedule? The Edgewood Borough leaf pickup begins in the fall of the year, usually around mid October.